Before you furrow your eyebrows and browse through the features of one of the latest products of Samsung’s flagship line of models, the Galaxy S7, thinking that the product is a mere upgrade from the Galaxy S6, behold because this new smartphone from Samsung is sure to leave you overwhelmed. Developed on the building blocks of S6, power packed with latest technological advancements and presented with a sleek metal frame providing a top-notch look and feel, the S7 is one of the best smartphones of 2016. It definitely gives its competitors, top two being Apple iPhone 6s and Google Nexus 6P, a run for their money. But what makes the S7 stand out from the crowd? Simplicity. Despite bringing evolutionary changes in terms of design and architecture, the phone is massively user-friendly, successfully integrating the modern features without compromising the clarity of the product. In this review we don’t make any distinction between the S7 and S7 Edge. The Edge does offer a larger screen and the Edge display but we did not have one here to compare directly. Gone are the days when every latest model has to be thinner and larger than its previous one. With a simple 5.1 screen inch and a slightly thick body, the S7 is armed with dual glass design introducing Corning Gorilla glass 4. The modern shape with gentle curves elevates the previous plastic looks of the Galaxy phones to a refined, high-end product. However, the metal casing on the back may leave behind finger grease and smudges which aren’t the best addition to the sleek, beautiful metallic back. Overall, the significant improvements from the previous models make the S7 stand out. Instead of using common LCD, the S7 uses Samsung’s AMOLED display producing vibrant colors and deeply saturated contrast. With an enhanced number of pixels and highly sharp screen display, the entire vision experience is transformed. Whether you are playing a game or watching a YouTube video, the display is sure to keep you hooked. But that’s not all; the new AMOLED tech also helps to display only selected pixels and not the entire screen, introducing the new ‘Always on’ feature. So, when you are checking the date or time, only the selected information lights up and thereby saves battery life. Moreover, the brightness customization options help to adjust the display suiting to the needs. So, in glaring sunlight just go for maximum brightness and you can read with ease. 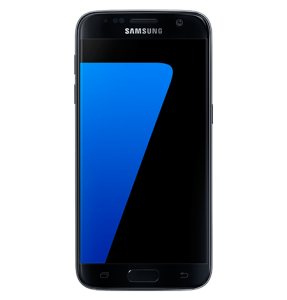 With the Galaxy S7, Samsung takes a positive step back and includes a microSD slot for extendable memory of up to 200GB, including the 32/64 GB of built-in storage. 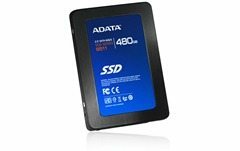 So, there is no hassle of storing data on separate hard drives or cloud, and you have more space on your smartphone than you require. 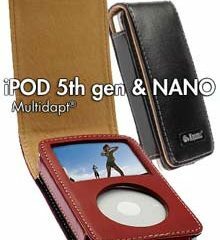 Another feature is that the phone is water-resistant and strong enough to survive a short fall. In fact, it will survive a 1.5 m dunk for 30 mins and is dust resistant as well. The S7 promises to stay strong even without a protective cover/case repelling spills and splashes. The Samsung pay feature is an added bonus that helps you use your phone as a credit card. So, next time instead of searching for your wallet or choosing a card, you can just use your phone to pay the bills. As compared to android pay and apple pay, Samsung’s mobile payment service is widely accepted and works effectively at older terminals. The reason being Samsung pay uses both near field communication and secure magnetic transmission to operate payment information. Wireless charging definitely makes life easy. But if you are not a fan of the new technology, you can opt for wired charging as well. The latest Type-C charging port is not installed, which is kind of an advantage as those old Samsung phone chargers can be easily used as well. 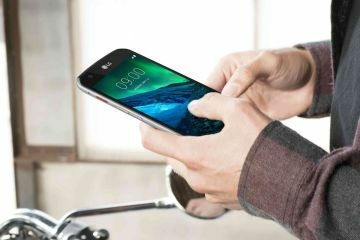 The phone supports a fingerprint scanner enhancing security measures. It works well, and it works fast. The only negative is that while it also works as a home button, it does not have any tactile feedback. Be it while traveling or during celebrations, often the quick captures turn out blurry, and we tend to miss that perfect shot. 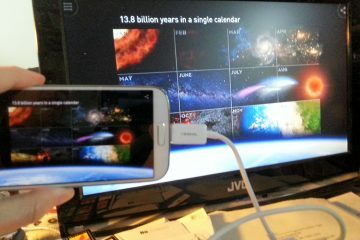 But Samsung made sure we never do anymore. With their new dual pixel technology, pictures can be taken faster than the blink of an eye. The 12 Megapixel rear camera with an improved low-light photography is sure to be a photographer’s delight. So, next time you take a weird capture in a dimly-lit restaurant or a family picture at sunset, you can let the low-light factor out of your mind and click away. The quick auto-focus also comes in handy if you are aiming for a close-up and gives a professional result. But the latest weapon for close shots has to be the Optical Image Stabilization (OIS) feature of the S7 which prevents blur or hazy images even in a rush. Selfie lovers, Samsung has something for you too. The 5 Megapixel primary camera with beautification filters will be your best friend, removing those wrinkles, dark spots and making you look picture ready every time you pose for a selfie. If the selfies look too plastic, you can go ahead and customize the filters suiting your needs. And what about the dark selfies? Just turn on the front screen flash, though the effect can be slightly intense. But with little adjustments, the feature can be nothing but a major plus. The loudspeaker of the device is underwhelming, but audio output is without distortion. As compared to the HTC one series, which uses dual front speakers, the S7 with its rear-facing speakers fails to leave an impression. The sound is not strong and even at full volume, it is inferior to its competitors. In an attempt to knock the ball out of the park, Samsung has definitely overlooked the audio front, and poor-quality speakers is a major flaw in the otherwise exemplary product. However, with external headphones or amplifiers, the audio is clean and crisp, though volume still remains a disadvantage. Though when it comes to calling quality, no noise is experienced. It is consistent without drops or interference. Hence, the audio for voice communication is definitely top-notch. The S7 doesn’t disappoint when it comes to video and supports Ultra HD recording. With frame rates ranging from 1080p/60fps to 720p/240fps, and autofocus options available, the S7 assures a rich video quality. The latest Android Marshmallow coupled with Samsung’s TouchWiz makes the transitions smooth and efficient. Though the device comes with preinstalled apps that cannot be deleted, but some of the latest features like Game Launcher is real handy. You no longer need to scrape through the apps finding your games. Instead, all the games are well-organized in the Game Launcher. Also, there’s a new ‘tray’ feature that helps you collect the apps, arrange them on the tray and move them to a different screen. Samsung opens doors for split-screen multitasking that supports two windows resized and swapped with multiple apps. Also, by swiping diagonally from the corner of the screen, an app can be reduced to a window view, enhancing the usage of the interface. 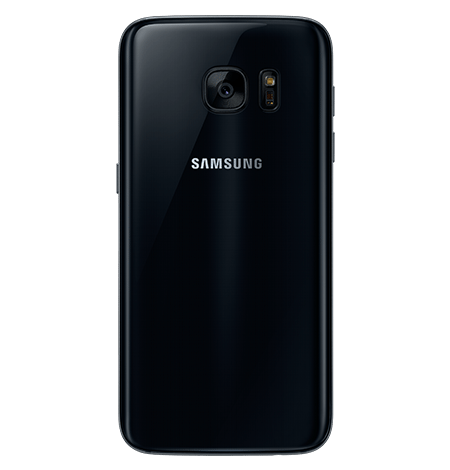 The S7 uses both Exynos 8890 as well as Snapdragon 820 chipsets. The GPU in Exynos is Mali-T880 MP12 while in snapdragon is Adreno 530. It is coupled with a 4GB RAM. The Exynos chip comprises of eight cores – four at 2.6 GHz and remaining at 1.59 GHz. The Snapdragon, on the other hand, has four cores – two at 2015 GHz and other two at 1.6 GHz. Both the chips have excelled in performance and exhibits smooth multitasking and transitions. Compared to devices like Nexus 6P which runs on snapdragon 810, the S7 outdoes them in terms of performance scoring significantly higher in the multi-core tests. Even Apple 6s plus, which runs on the A9 chipset, one of the fastest and most reliable of its type, has been superseded by the S7’s Snapdragon with Kryo cores in multicore test results. Though the battery is irreplaceable, but with a capacity of 3000 mAh, it is one of the strongest features of the Galaxy S7. 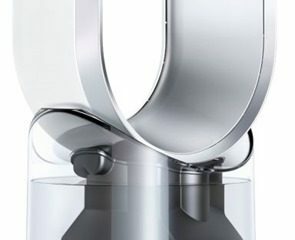 The battery is sustained with both wired and wireless charging making the efforts smooth and easy. From playing games to making 3G voice calls, the battery lifetime is on an average 15 hours, while it is around 10 hours for extensive internet usage. Compared to the competitors like iPhone 6s, the battery of S7 has more longevity. The power saving modes available on the device definitely helps the battery last longer. For a few extra hours, you can definitely opt for the power-saving mode. Maintaining all the basic functions and just reducing vibrations and background procedures, this mode is useful for some light power-saving. But if you are in for a long stretch, use the ultra-power saving mode. Watch your phone transform from a high-tech gadget to a simple black and white interface with basic features like text, call web and others. This mode, definitely not pretty, comes in handy in those extreme situations when you need your device and cannot run for the charger. Samsung can definitely work on a removable battery option, but excluding that, the battery of the S7 is indeed one of its strengths that help to make it a fetch. 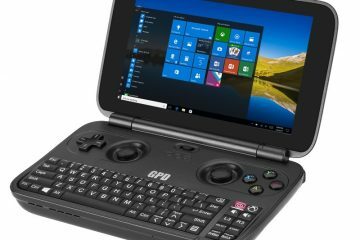 Now, that we are knowledgeable about the specs and have compared features with its fellow competitors, the question is whether the product is worth the price. Many may consider the S7 an iterative upgrade of the S6, and indeed, the S7 does retain the features of its predecessor. 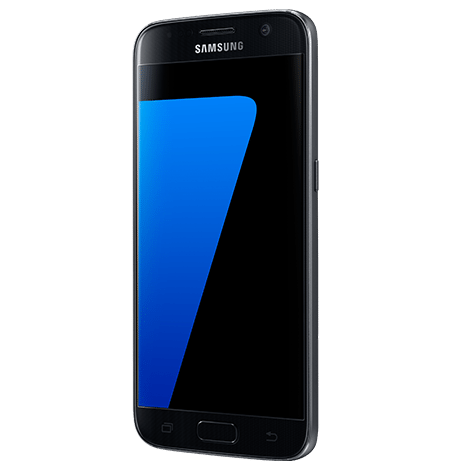 But the S7 has also stepped up massively and added several new options that make the gadget a steal. From an improved look and feel to offering one of the best batteries on the market, the S7 is a choice worth making. Easy multitasking, backup power options, high-quality camera and latest software upgrades make the product nothing less than a winner. Though the price is not exactly on the lower side, but for all those features combined, maybe shelling out those dollars won’t be a wrong decision. The S7 can be considered to have all around appeal from gamers to power users; the device just suits up to everyone’s needs. Stress handling seems to be a walk in the park. 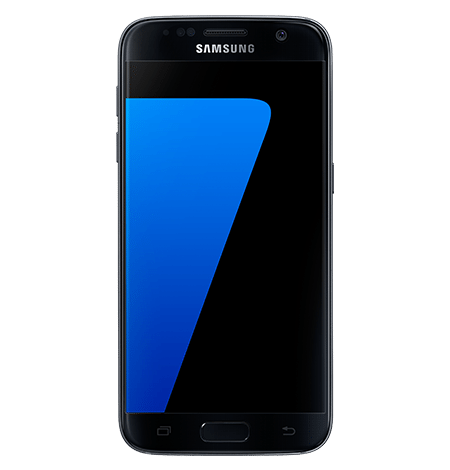 In a nutshell, the S7 is a step forward in terms of technology and usage; it provides the eminent features without clouding the basic necessities of a smartphone, and hence, is one of the best products in the market today.